This gives a temporary shade that will last up to 3 washes, depending on your hair history. Colour results from Blonde to Brunette. Get a subtle blush of rose gold with our new LIVE Colour Spray in Rose Gold Blush. Simply spray onto styled hair for an instant pop of colour! Check the colour application range to make sure this product is suitable for your natural hair colour. Remember, if your hair’s previously coloured, this may affect results. Avoid staining your fav jumper by having an old towel at the ready along with some gloves to protect your hands. Have some cotton pads and skin toner handy just in case you get some product on your skin. LIVE Colour Sprays should be applied to clean, dry, styled hair and set in place with hairspray of your choice. Always shake the can well before use. Place a towel on your shoulders to avoid contact with clothes. Spray on to dry hair in short bursts, holding the can straight and 10 cm away from head. Leave to dry and brush through once. 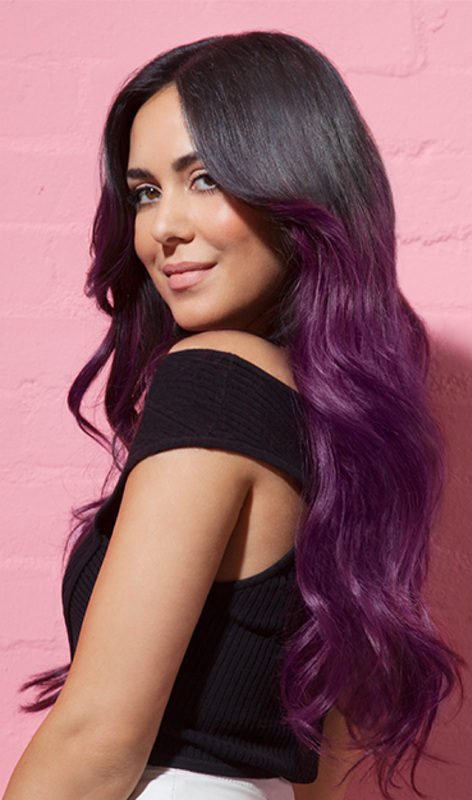 This shade is suitable for all hair types. Colour result may vary depending on your original colour. Put only fully emptied into recycling system (recycling collection). This product made no impact on my hair whatsoever and no colour showed up on my hair (blonde) at all. Extremely weak colour and did not work or demonstrate the results of the product that the photo on the product displayed. I was looking for a nice, easy way to add colour to my hair for the summer, however, I am extremely disappointed. Response from Schwarzkopf LIVE: Hello Rachel- we're sorry to hear this! Of course we would expect a noticeable colour change, so please get in contact with our Colour Advisory Team on 0800 328 9214 or at consumer.advisory@henkel.com who will help you further with this issue. Thank you.